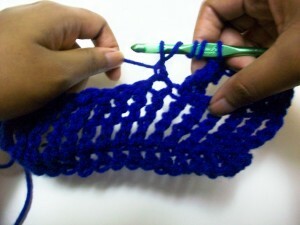 If the double treble just isn’t enough for you or your pattern, triple treble (trtr) stitches give you even more height. 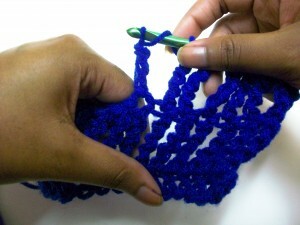 To make a a trtr: yo (yarn over) 4 times, insert hook into next st, yo, pull up a loop, (yo, pull through two loops) 5 times. Here’s the visual breakdown. You can hover over the pictures with your cursor to see the left hand view. 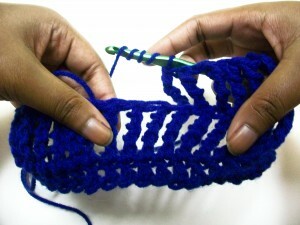 Yarn over again and pull up a loop. There will be six loops on your hook. 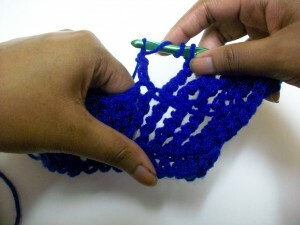 Yarn over and pull your working yarn through two loops five times. 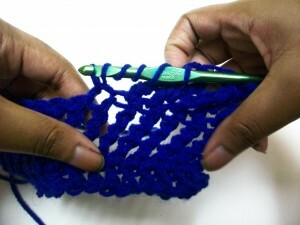 You have now made a triple treble crochet stitch! Do you have a question or need help? Feel free to leave a comment at below and I’ll help you out! 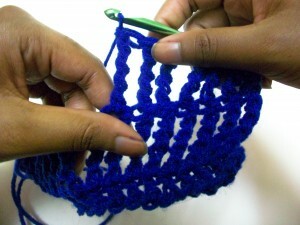 This entry was posted on Tuesday, January 24th, 2012 at 12:00 AM by Candace	and is filed under Tutorials and Help. You can follow any responses to this entry through the RSS 2.0 feed. You can leave a response, or trackback from your own site. 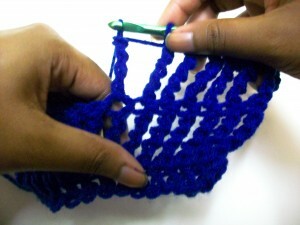 I like using this stitch with chs inbetween to make a super open mesh-y fabric. In the beginning of the instructions, we’re told to yo 4 times. Underneath the directions say to yo 5 times. In the photo, it looks like there’s a yo 4 times. Which is right? Four is the right number. I agree with Andrea. There seems to be a mistake, but which is incorrect, the 4 or the 5? 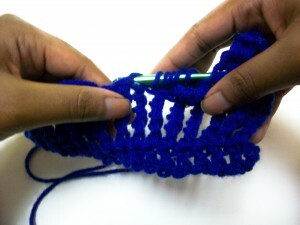 When I do the triple treble the first stitch on the needle always gets very loose. How do I keep this from happening? Put your finger over the wraps to hold them in place and work off carefully. You may have to work with the finger in place. Awkward I know, but it works.